We have been testing and tweaking this in rehab clinics and at shows to make sure we bring you a safe, usable and efficient piece of fitness equipment. People love it! 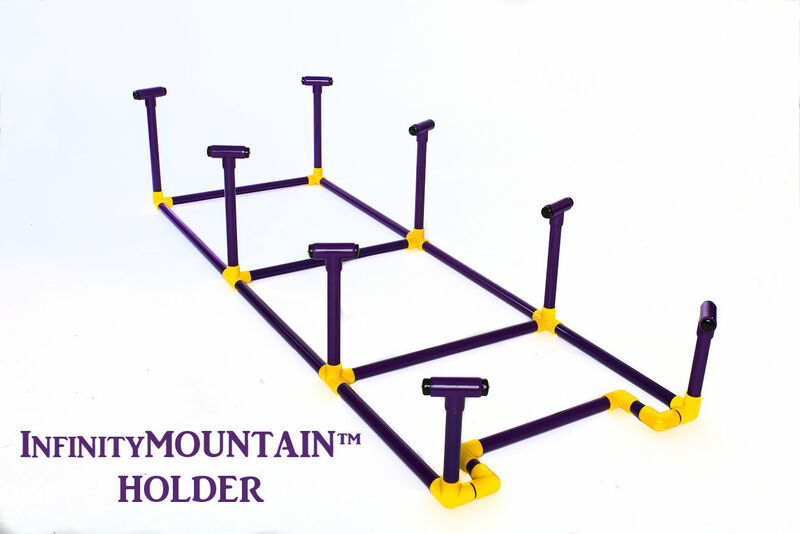 Made of sturdy furniture grade #PURPLE PVC, our innovative Mountain Holder is custom made to hold TotoFit Infinities in place but remain out of the way of the handler. 85 cm Infinity, 70 cm Infinity, 50 cm Nubby Infinity. The INFINITYMountain™ Holder is unique in that the front ‘bar’ is inset so that our K-9 Kore Disk and BISkit™ tuck underneath the 50 cm Nubby Infinity. No stumbling or dancing around poles across the front, either. And the T-Connections on top of the upright poles improve the hold, won’t perforate the products or harm a dog if they slip onto them. When put together, the holder measures about 67″ long by 20″ across. 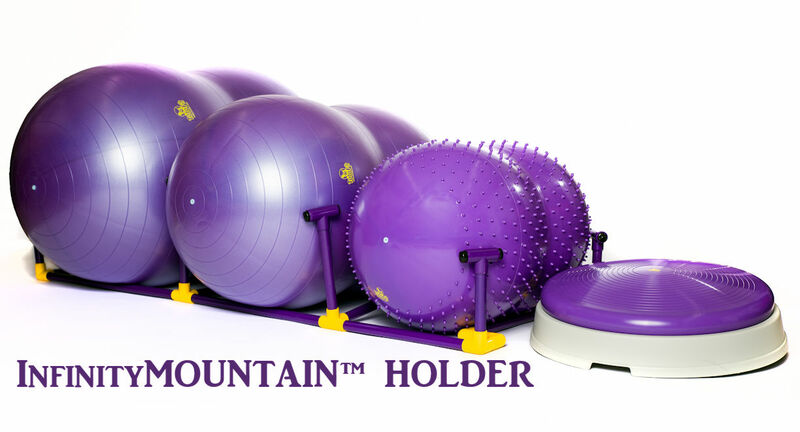 This is designed specifically to work with the TotoFit INFINITYMountain™, and is not adjustable to fit other products. AND it comes apart and stores in a mesh bag. 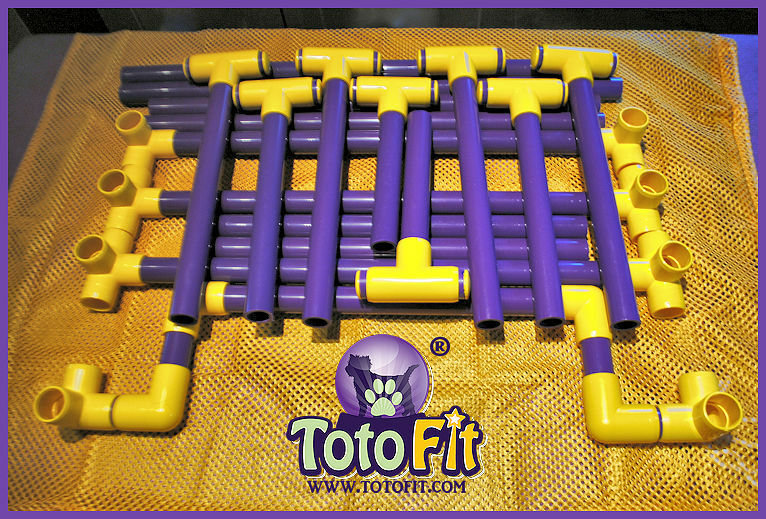 We’re excited to offer yet another quality and affordable TotoFit product that furthers our message of safe exercise and education!